Open: The website is open 24 hours, the shop is open from Monday to Friday from 12am to 6.30pm and saturday from 11am to 5 pm. Closed: The spop is closed on sundays and the third and forth week in july. Specials: You can find all these and much more at our location in St.Gallen, the shop is called Klang und Kleid. When in september 2000 Sven Kirtsten's book of Tiki came out we created rigth away the first european retail tikiwebsite, called alohawaii.ch Tikimugs from Pavón from Spain and Tikifarm from the US and some vintage mugs where first found on our site. 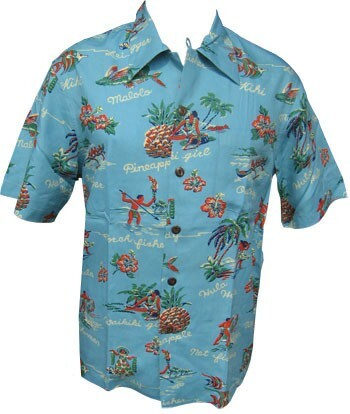 Exotica music, silkscreen posters, original Kalakaua hawaiien shirts & Hawaiien & surf oriented movies,Hukilau lei's and many cool t-shirts can be found.